I have one of my all-time favorite nail polish to show you today. I am so obsessed with this color!! 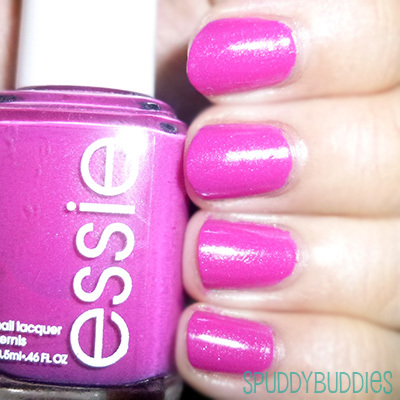 This is Essie - The Girls Are Out from the Summer 2013 Collection and it is STUNNING. It's not really as pink as shown in my pictures with flash. The third picture, however, is a more accurate depiction of the color. I usually keep up with new collections through posts from nail bloggers but while I was in the US, I was too busy to check my feed so I completely missed out on any news about new collections. So when I went to Target (I could live in Target, no kidding) and headed over to the nail polish section and I saw this polish, I knew I had to have it. 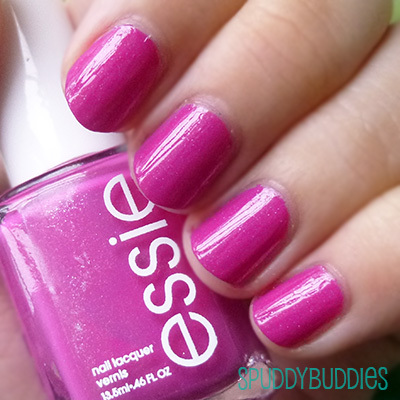 It's a beautiful shade of soft fuchsia with a touch of silver sparkle. 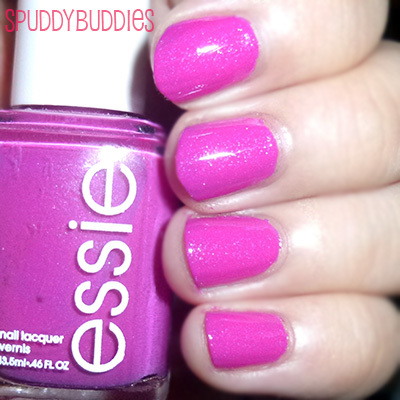 The formula is wonderful, the polish just glides on easily and dries glossy. I used 2 coats in the pictures above for full opacity. The dry time is also faster than other polishes I own. Removal wasn't too bad - some silver shimmer on the skin. Overall, it's shimmery and whimsical and feminine - I LOVE it! Do you have The Girls Are Out in your collection or are you going straight out to the store to get this right now? You can only pick one, heehee! That is lovely and really flattering. I'm into pinks and berries at the moment! I'm obsessed with almost ANY polish that has a silver shimmer in it - I think it gives the nails such a sparkly, whimsical look! This is such a pretty color! Ugh you're the best Karla! <3 Thank you so much for the feature. I'll have to proudly display my badge.